Madison and Davis Bicycles Madison and Davis Bicycles is the area’s only full-service bicycle shop. The business has been located at 8th and Jefferson since 1947, and underwent an enormous renovation in 2013. The beautiful new 5,000 square foot facility has the look and inventory of a big city shop with the extra customer service you expect from your small town friends. 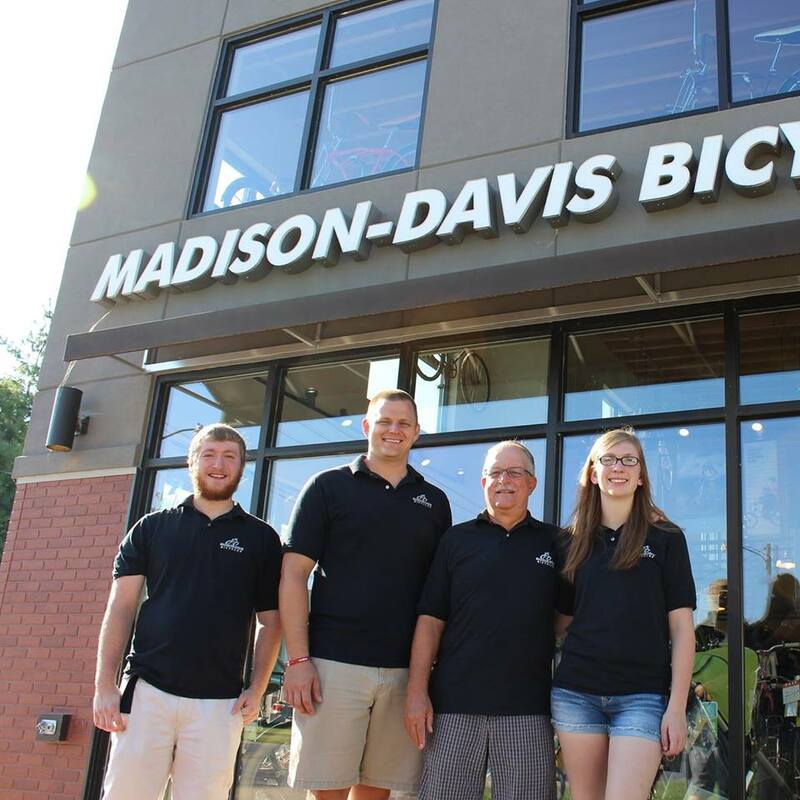 Whether you’re looking for a brand new ride, need to repair your old bike, or are looking for the latest accessories, parts, and gear, Madison Davis has you covered. We carry a large selection of cycling apparel, shoes, glasses, helmets and more. We are an authorized Trek Retailer and carry the full line of Trek Road, Mountain, Hybrid, and Children’s bikes. Special orders are available and we are an authorized Trek Project One retailer. Greg Davis, Owner, has actively been involved in the business since 1964. He became a full partner in 1973 and assumed ownership in 2013. Ryan Hildebrand (2 x Ironman) , Manager and Lead Mechanic, began his career here in 1999. He first graduated from Trek University in 2006 and received certification as a Road Bike and Triathlon Bike Fit Technician in 2013. Jayme Davis, Sales, joined the team in 2014. Alex Adams, Sales and Mechanic, joined the team in 2015 and is knowledgeable about the entire product line at Madison Davis.